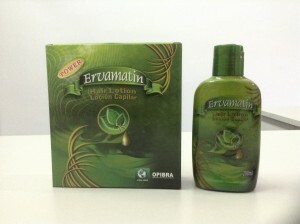 Ervamatin Lotion is a Capillary Lotion that contains many phyto-therapeutic agents and ingredients found only in the AMAZON RAIN FOREST. Ervamatin Lotion is a natural product, created exclusively for the treatment of hair loss. It is used by men and women of all ages and with different types of capillary problems. All herbs used in its formula are recognized by CTFA (The Cosmetic Toiletry and Fragrance Association) located in New York – USA. It is also recognized and accepted by The World Health Organization.